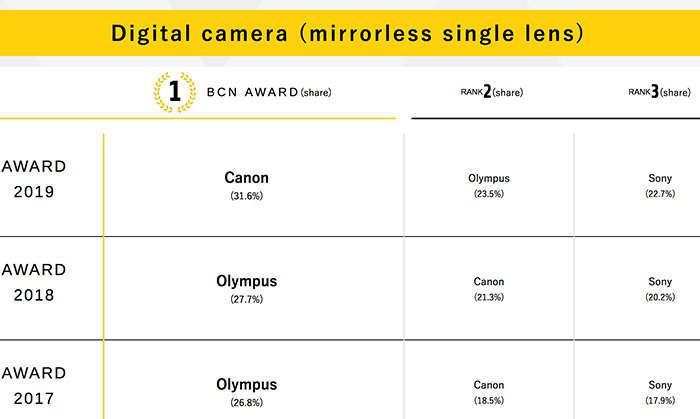 Bcnaward.jp published the full 2018 Japanese market share analysis. Olympus lost 4% of the market share during 2018 while Canon had an impressive +10% jump. Still, the good news is that Olympus sold more camers than Sony and that is a good news if you think they had the new A7III. Let’s see if in 2019 Olympus will stay ahead thanks to the new E-M1X and the PEN-FII.